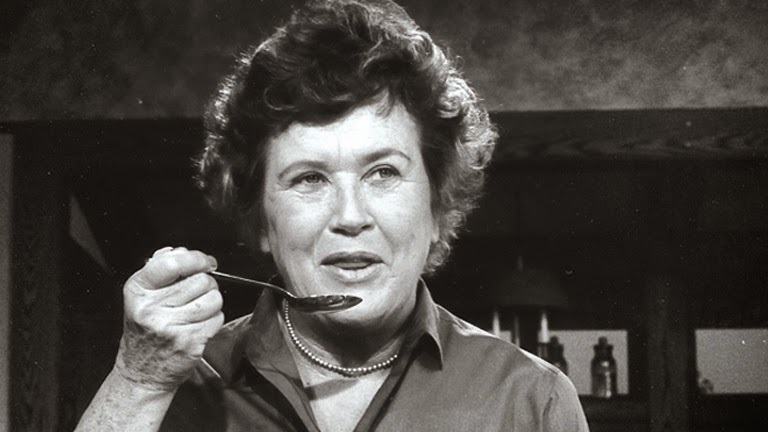 Today is a great day to remember Julia Child. For those of us of a certain age, the post-war generation, whose moms were relying on canned vegetables and cake mixes and Velveeta, a new world opened up because of Child and her PBS program, The French Chef, which had its debut in 1963. 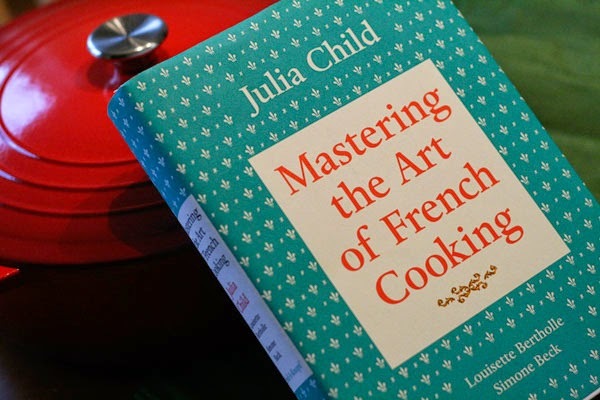 The best way to celebrate Child's legacy might be to haul out those dusty, dog-eared copies of Mastering the Art of French Cooking (I bought my copies of both volumes in 1970, when the second was published) and make something. The 2009 film Julie and Julia made a big deal out of Child's recipe for boeuf Bourguignon--writing for Epicurious, Siobhan Adcock says it may be the "third star" of the film. While there may be lots of steps in Child's recipe, not one of them is difficult or incomprehensible or beyond the reach of even the most basic cook. I've never served Child's boeuf Bourguignon to a single person who didn't swoon . . . But there are lots of others--Child made her TV name by making a simple omelet, and then there is her roasted chicken. Whether you honor Child by cooking or dreaming of cooking, today is the day! Update, 2 August 2017: The editor Judith Jones was responsible for finding and publishing Child's "much-rejected" Mastering the Art of French Cooking. Jones died on 2 August 2017. You can read her New York Times obituary by clicking here, and a wonderful remembrance of her, "Remembering Judith Jones and Her Recipe for Food Writing," by clicking here.